I heard it, and I instantly knew! One of my favorite things is to explore really large music torrents. Huge collections of music that someone, somewhere has put together in torrent form, and then let loose upon a curious world with the blessing of the seeders. The thing about these torrents is that they include music I probably haven't heard before. And, more importantly, music I most likely won't ever hear about from other sources. Yet now, suddenly, it appears in front of my ears by means of serendipitous networking. A key part of this is the exploring aspect. I'm not merely going through the motions of old musical preferences - I'm actively taking part in an exploratory effort to see just what this next piece of music might be about. More often than not, I have no idea what I'm about to hear, and this opens up the possibility of being positively surprised. I can already hear someone wanting to interject. What about the artists? How will they get paid? How can I justify this blatant act of piracy? To which I reply - what of it? More often than not, I've never even heard of the artists I discover, and any argument that they are somehow missing out falls flat due to the fact that I am not likely to buy something I have absolutely no knowledge of. Knowing about things is - believe it or not - somewhat of a prerequisite for taking action in regards to these things. There real question should be something more along the lines of: how will the artists I and my peers never get a chance to hear/know get paid? So don't judge me and my musical explorations. Help me out instead. Seed the torrents that are out there, compile new collections for me to discover, and give people easy ways to help their favorite artists out once the discovery has been made. Because people will discover new favorites. And they will want to make some sort of contribution to them, if and when given a chance to do so. But only if and when. "How come they don't attack each other? How do they manage something as complex as social cohesion with their bodies and brains literally decaying beyond the point of corporeal cohesion?" "Actually, they do. And it took us quite a while to figure out on what grounds they form their friend/foe views of the world. You will never guess what it turned out to be." "Heh. Extra bonus points for lateral thinking, but no, not that either." "Okay, I give up. What makes the zombies identify each other as either friend or foe?" "Turns out it had something to do with which nineties boy band they listened to before the end of death. The exact nature of how they divide themselves into distinct social groupings is unclear, but if you know their taste in this particular genre, you pretty much know who they'll regard as friends. And if you are versed in the specifics of the videos to the songs, you have a direct line of understanding into the subtle infightings of the various zombie factions." "Nope. They tried to pin it to just about every other explanation the universe had to offer, but this was the one model that actually worked." "But... boy bands from the nineties? And the music videos of that era? I don't understand?" "It just goes to show that there is no such thing as useless knowledge. Now let's get moving. I'm afraid these full graves are quite likely to empty themselves in about an hour or so, and we don't want to hear this particular rehearsal again." "Rehearsal? ...right. I'm already gone." If and when three members think something is a good idea, they automatically have the movement's approval to make it happen. Convince two people that something is worth doing, then go do it. Simple as that. No formal requests, no negotiating, no trying to get a point across the narrow mind of some bureaucrat - none of that. Just go ahead and do stuff. The main point of this is not that it is a giving out of permissions. No. The thing to notice here is that people have this possibility whether they are in a movement or not, and that you really don't need that much in order to get started in your project of changing the world. If you can get get two other persons to think that something is a good idea, then you already have a good start to the project of making this good idea happen. You don't need to get permission to do good things or to be awesome. What you may need from time to time, though, is a reminder of this. A reminder that you have it in your power to make things happen, without having to ask for it. One of the biggest thresholds is the thought that someone else has already done that. And probably done it better, to boot. The sheer volume of other people writing the same thing as one is about to write can be offputting, to say the least. There's no point in denying that things have already been done. The world is indeed a big and old place. But you haven't done it. And that means more than one would think. I tend to use three lines of reasoning to get over this particular threshold. Let's simply call them 1, 2 and 3, for the sake of simplicity. 1. Even if someone else has done it, that does not make your own take on it null and void. Even if you agree whole heartedly with what someone else has written, they still don't express your view on it. And, moreover, they don't tell those who write what you read what you think. Your readers do not read most of what you read. And would most likely very much like to be introduced. 2. Even if someone else has done it, and done it consistently over a period of time, it still does not make your own take on it null and void. It just makes you a part of a movement (with whatever degree of formal organization), and moreover lets both of you find comfort in the fact that the other is around doing the good work. Don't let agreeing being an unagreeable threshold. 3. Even if someone else has done it, you have something they don't: the chance to do it again. With the added benefit of their precious effort, and any eventual constructive criticism that might have followed. Second chances to learn by other's doing is a good thing. So. Don't be discouraged by discovering that the thing you've thought about writing suddenly gets written by someone else. Take heart and go forth anyway. Because if you don't say what you mean - who will? Some would say that the paradox of Zeno is just a piece of sophistry, intended to keep young people with overactive minds busy for a while. I disagree with this, and would propose that Zeno was just way ahead of his time. So far ahead of his time, in fact, that he did not know what he was describing. I assume you're all familiar with the paradox in question. 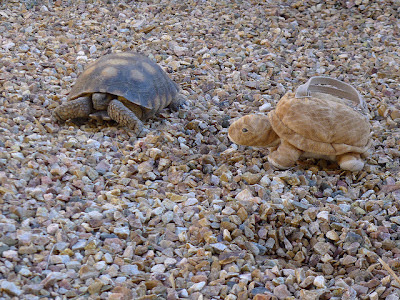 Achilles and a tortoise are about to have a race by foot, and to make things fair the tortoise is given a head start by a certain amount of distance. Running happens. When Achilles has made it to the point where the tortoise started out, the tortoise has moved that much closer to the finishing line. And as Achilles makes up for this distance, the tortoise has moved even further, and is thus still in the lead, leaving Achilles to catch up yet again - and so forth and so on. The gist of it is that Achilles never catches up with the tortoise. Rather, they seem to get stuck in an ancient version of a time warp, lost forever in a race against time. This is somewhat confusing. And the reason this is confusing is that it actually isn't about young men or tortoises, but about Youtube. I imagine you've all been there, trying to watch a video which is slightly bigger than your bandwidth. The thing you have to do is to wait just long enough for the video to buffer enough so that the "never catching up" paradox applies. The video is bigger than your bandwidth can manage, true, but with enough buffer you can still watch it without having to pause. As you watch the buffered part, more is put into the buffer, and as you watch that part, more is put into the buffer - and so on, until the video ends. The reason the Ancients had such a hard time with this is, as you might imagine, that they didn't have Youtube or online videos back then. Achilles and the tortoise are stuck in this eternal time loop not because of its paradoxical nature, but because of Zeno being two thousand years ahead of himself! Now, some might argue that Youtube is just a piece of sophistry intended to keep young people with overactive minds busy for a while. I'm not so sure about that, though. I have an _ebook. It is a very strange experience. It has two sources of food for its thoughts. One of them is the blog you are staring at right now, and the other is my somewhat constant twitter feed. By means of remixing the words found in these sources, it then produces tweets of varying hilarity. Some make me laugh out loud, some are meh and some are repeats of earlier tweets. It could use more source material, to be sure. Good thing I'm working on that. One strange part is that I for the most part remember the fragments it remixes into new statements. 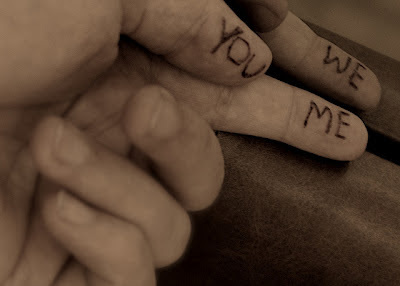 Sometimes it's a whole sentence, sometimes part of one, sometimes just a word - I remember. And this remembering adds a whole layer of contextual meaning to what it says. I cannot imagine what others see. I am, as it were, somewhat full of myself. Another part of the strangeness is seeing one's own words echoed by someone (something) else. It makes it abundantly clear that I use and abuse some aspect of language more than I reasonably have a right to, and that it is very much time to put more words into action. It is still too early to build a genre made out of my comfort zone. I do have to thank the good Tan for getting things going. And should you happen to like this creation of his - do send him a thankful tweet, poke or thought. Or a hug. For good measure. Solidarity, remixed to the streets. During my virtual rambling adventures, I often meet new people. Such as you. And somehow, my seemingly random rantings seem to make somewhat of an impression on these new people. A good one, to boot. Sometimes, they even tell me about it, and occasionally they ask what they can do to help me do more of what I do. Retweet it, post it on the Facebook, Digg it, tell a friend about it - whatever it is that you do when you tell someone about something awesome, do that. That helps me more than one would think. And it just might make the same impression on your sharees as it did on you. If you are a blogger, you already know about this thing. The Threshold. This unspoken rule that says that some things are important enough to write about, while others aren't. The thin dividing line that separates things one write about and things one don't. It's useful to think about this threshold. Mostly because you learn a surprising amount about yourself while doing it. Especially about those thoughts about how you think. It gets somewhat circular after a while. This is good - a big part of learning is becoming familiar with things, and returning to these things/thoughts familiarizes them indeed. The thing to remember, though, is that there is no need to get rid of this threshold. Not only because it's impossible, but also because writing by its very nature is always is about something in particular. Even general musings are about something, by virtue of being grammatical. The concept of the threshold can be applied on a more general level, though. There are things we do, things we don't do, and a thin yet crucial dividing line between them. It is a healthy thing to step out of this line every once in a while. No, no the _ebooks found on Twitter. The other kind. You know, those you probably won't find in libraries. One would think libraries would be the place to find ebooks. Libraries deal with books, and the leap from dealing with books to dealing with books is not as great as one might imagine. Yet, those ebooks are somehow somewhat absent from public libraries. Why? The answer is a complicated mess of licenses, restrictions and wishful thinking. Copyright, in other words. One might imagine that the Pirate Bay would have set something of an example when it comes to establishing large scale databases with open access across many platforms. That the solutions employed in this entrepreneurial endeavor would cross over to apply to other agencies who wished to make sharing a matter of daily routine. That interdisciplinary dialogue would have happened. It has in fact happened. And the rightholders did not at all like what they heard. Instead, they took Measures. Legal sized pads were procured, legal pens set in motion and legal documents put forth. Documents that specified that libraries should limit the lending of ebooks to one (1) ebook at a time, that the fees for lending an ebooks should be greater than for old skool books, and that various forms of DRM are to be used on the few books that actually manage to pass through this narrowing of potentials. 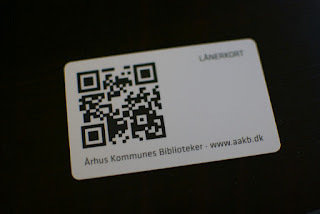 You can bet that librarians are not overly fond of this new order of things. But what can they do? They are bound by the rules of copyright, after all, and if they are to have any books to lend at all they have to follow them to the letter. No matter that the spirit has long since left our phenomenology. The thing is, though, that all these demands put on the poor librarians is nothing but wishful thinking. Sadly enough. While the ambitions may be to limit the public exposure to free stuff, that very exposure already happens anyway. Not only with the help from the good fellows over at the Pirate Bay, but with the combined efforts of the world in general. There's a lot of things other than reading books out there in the world. And there's a whole lot of world too, to boot! So the net result of all this hassle is, in the end, detrimental for all parts. The rightholders miss out on all the free exposure that comes from being freely available in an appealing fashion, the librarians have to constantly explain the complicated and unappealing ways their ebooks wont work, and the public at large still have to rely on the somewhat unreliable forces of the free market. We have the technology to make libraries better. There's no reason to question that - only unreason would question better libraries. But we have to give libraries permission to be what they can be, rather than construct ever more complicated reasons for them not to be. A better world is possible. And it's hard to imagine a better place to start than at a library. One of my guilty pleasures is to read cyberutopian literature from earlier ages. "Earlier ages", in this case, is the time range from the late 80s to somewhere around 2005. A line somewhat arbitrarily drawn, but there is a shift at about that point in time in the outlook on the future. There is a distinct sense of Before and After, if one but knows to look for it. For instance - ever notice how the concept of "virtual reality" isn't really around anymore? It used to be all the rage, but then it faded away. Why? One might argue that the new forms of social media have something to do with it. When the possibility to discuss real world things with real world people, the need for intermediaries (may they be ever so realistic) faded away. Or, rather, the virtual reality melded with vanilla reality, and produced the strange place we live in today. There's more to it than that, to be sure. But you see the shift that has taken place (quite literally in some cases). The optimism that is just about everywhere in the earlier ages (the earlier the better) has for some reason become displaced by the real brutalisms of the social. And thus, instead of speaking about the internet as a place where the marginal can find soul mates in a dreary world, we have concepts like "cyberbullying". That glorious future of information superhighways and endless possibilities seems a far cry from where we actually ended up. Think about these two words. These words who, somehow, have managed to become the very center of political discourse just about everywhere. It is not that we face some herculean task that will require stupendous amounts of manpower to complete. Rather, we are facing the opposite: the herculean task is done, and we have run out of things to do. The free market is of no help here - it is indeed very happy to send news to every stockholder everywhere that it can do just as much or sometimes more with less employees. Which is true in every sense of being; one only has to think about how remarkably small the farmer class has become over the years. Saying that it has shrunk from 98% of everyone to a measly 2% might be a contestable statement, but the reversal of (im)productivity is indisputable. What used to demand hordes of people now demand but a few, and the production of everything is ever on the increase despite of this. So the creation of jobs becomes an issue. One might think that we might reach a point where it is politically possible - and, indeed, wise - to declare that we are doing enough things in the world, and that we can finally say that the labor market is a matter of choice rather than of brutal necessity. One might think that there is something of a limit to how much needs to be done in a given year, and that the fact that so much energy is spent talking about how jobs are to be created is a sign that we have reached that very limit. And, with farming as a prime example, surpassed it. One might think. But what are these restless politicians and the voices of authority saying? One might think this to be somewhat disingenuous. One might think that the proper thing to ponder is the orderly retreat from a society based on mass employment, to something more suited for a technological reality where joblessness is to be expected as a natural feature of society. One might even think that insisting that just about everyone getting a job to be an old fashioned notion based out of the necessities of scarcity so ever prevalent in earlier times. One would also be branded a political radical and somewhat of a lunatic for mentioning such ideas. But what else is there to do? 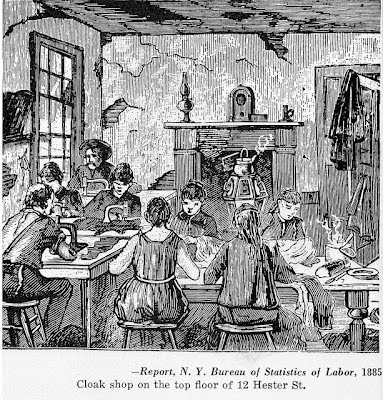 It's not likely that we will refrain from using the ever more advanced labor saving devices what destroys any possibility of an all-encompassing labor market, and enforcing a proverbial digging of holes just to fill them in a moment later seems an unlikely prospect as well. Least likely of all is that the jobs will actually return - no matter the political energy spent on convincing you otherwise. It would seem we still have things to do about the fact that we have run out of things to do. How holy do you need to be? There used to be a hole in the fence. This was a good thing, as the route around this fence was rather circuitous. So people made this hole a routine part of their everyday life - getting from here to there is after all that much easier when the getting is that much less effort. Until someone among the powers that be decided that this hole needed to be fixed. And it was. Which came as somewhat of a surprise for just about everyone. This hole had been a feature of everyday life for years, and no one had really expected it to be repaired any time soon. Or any time, really. I give this new piece of fencing a couple of weeks, at most, before a new hole is in place. Most likely in the very same place. I must admit to being a bit confused about this sudden spur of reparatory action. Why now, of all times? And why had they not asked the community about their opinions on the matter? That word, "community", might clue you in that this may not only apply to municipal matters, but also to the more indirect aspects of virtual community management. What are the holes in your fences, and do you really need to repair them? I love plots that depict how a plan goes through a series of events to get from start to finish. Not because of how complicated the plan seems from the outside, but because of how mundane it is for most of the participants. Or, rather, I love plots that transforms the social fabric of the world we live in to a machine that can be predicted. And, for the purposes of whatever scheme the protagonists happen to pursue, used. Think about your life. Think more specifically about what you do in that part of life you call work. What happens there? More or less the same thing every day, plus/minus a few of Those Days. There is a normal flow of things, and that feeling of doing the same thing day in and day out is more than an empty feeling. Most likely, you ARE doing the same thing day in and day out - and like all predictable things, they can be predicted. With enough predictable parts, a plot can be planned and a plan plotted. I love this not only because of the intricacy of the plots, but also because of the subversive subtext that can be found in them. The subtext that you are not powerless, regardless of how stuck in a rut you may feel in your predictability. Just gather enough fellow people, and you can make great things happen. You know, sometimes I like to write headlines more than I like to write those words that would accompany them. Or come under them - the subtexts, if you will. There is an easy way to test if you are influenced by propaganda. It's short, doesn't involve any fancy words and is brutally no-nonsense. You are influenced by propaganda if there is anything you feel free to hate. That is the test. No ifs, no buts, no qualifications. 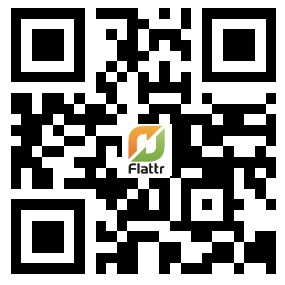 I sometimes get asked about my Flattr arrangement. What's the business plan? Do I make any money? Does it affect my writing? I rarely get around to answer these questions. Time to get to it. Now, calling my relationship to Flattr a "business plan" would be to conduct all manners of violence on language. It's neither business nor planned - rather, it is one of the things taken for granted in my community of peers. If you have a blog, you put a Flattr button on it. Or several, as the case might be. If one were to have a business plan for it, it would most likely be of the retroactive kind. As the old saying goes, the internet never forgets, and that goes very much for things one published long ago. Since things can resurface unexpectedly at just about any moment, it's good business sense to have that virtual tip jar at hand, just in case. And, of course, to have a lot of things that can resurface. The more the better. Regardless of my lack of business savvy, I actually do make some money out of it. Not much, but a few Euros find their way to me every month. As to what I do with them - well, I don't. I in fact use it as a kind of war chest, labeled "In case of emergency". I've only used it once, and then only to buy food for a particularly emergent situation. It's actually rather comforting to know that it is there. No matter how small the amount in it may seem from a moneyed point of view - I don't need a lot to carry on. Turning to the last question - does it affect my writing? - I can only say that no, not really. While it is interesting to see which posts get flattred and which doesn't, I write about whatever happens to be on my mind whenever writing happens. Which tends to be the strangest of things, as you might have already suspected. And that's what I plan to keep doing. Starting right about now. During one of my ambient discussions with dear Les, it turned out that we seem to be hailing from different canons. Not the "blast things to smithereens" kind of canon, mind you, but the more academic version. The one where names may or may not convey certain meanings, depending on whether they are included in the canon or not. For some reason beyond my internalized canonical comprehension, the name of "Vatz" didn't resonate. And thus, I felt an imperial impulse to make up for this lack. The thing about Vatz is that it's a point of opposition to another name, Bitzer. And to get the gist of what Vatz was about, one has to start with Bitzer. It all started with Bitzer doing his thing, which Vatz then responded to - and ever since their famous back and forth, their names have become synonymous with the two standpoints on the conditions of discourse production that they put forth. They are, by the way, still at it. A thought that makes me smile every time I think about it. Bitzer said that the range of possible discourse is limited by the objective conditions that happens to be whenever someone has something to say. Depending on who, when, how, where and what, the rhetor has a range of rhetorical options available to pursue. It is therefore up to the rhetor to identify and adapt to these conditions and adapt accordingly - failure to do so is a failure to communicate effectively. In short, the situation determines discourse. Vatz, on the other hand, didn't quite fancy this proposition. He countered by saying that the conditions that the rhetor rhetorizes in is changed by the act of participating in it, and that the range of rhetorical options available depends on what the rhetor makes of the situation. By employing various tactics, the situation can be transformed in such a way as to make certain discursive actions possible. In short, discourse determines situation. The opposition of these two fellows is a very useful teaching tool. Firstly because people engaged in dramatic fighting engages the students to take sides - and once they're invested, the learning comes that much easier. And also because it makes them think about the set and setting of discourse - what matters when one wants to say something? It's also useful when one wants to produce discourse in general. One can ask the question - am I doing a Bitzer or a Vatz? Do I have to adhere to the given rules, or can I freebase it and do my own thing? Sometimes, I happen into discussions with Men's Rights spokespeople, and before long they start to throw any amount of flames against feminism. For the amount of flaming hatred, however, they seem to be very vague around what exactly feminism is. When I try to impress upon them that feminism is a theoretical approach that sets out to determine what social, cultural and economic factors play in to the discursive construction of what may be referred to as "gender", combined with a practical set of social techniques that mitigate the negative consequences that follow from this discursive construct, - they seem to be less impressed than one might imagine. Overall, they seem to think I'm a liar because I've not said anything about women wanting to brutally suppress all men between the iron fisted boots of matriarchy. What would give them that impression, I wonder? Who are these modern pirates, and why should we listen to them? I love the fact that there is such a thing as a Pirate Party. Just the name of it! Pirates! Yarr! We all know the story of pirates as a cultural phenomena. It has been thoroughly romanticized into something kids can be fascinated by, and the often brutal reality of what those real sea dogs back in the days did is seldom mentioned anywhere. And the reason the Pirates of the Caribbean series was actively trying to market itself to kids is that, well, pirates are kid's stuff. Something one grows out of at a somewhat unspecified yet very present age limit. Yet at the end of the day, there are very few IT departments around here that does not have at least one Pirate Party member on staff. 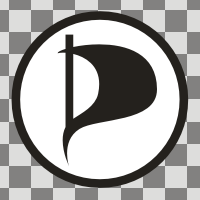 And in the few years since the first Pirate Party was founded here in Sweden, sister parties have appeared in some fifty odd other countries around the world. As a political reality, the pirates are here to stay. With "here" being a great many places. It is of course necessary to note that we're not seeing an international movement based on the idea that Captain Morgan had the right idea when it comes to maritime policy. Rather, the term "pirate" in this context refers to the more recent phenomena of internet piracy. Which, in somewhat less romanticized terms, is also referred to as "copyright infringement". Someone, somewhere, thought to use pirates as a metaphor for this (actually not very) new phenomena, and it stuck. There is an interesting story to tell about the appropriation of this name. This is not the place for that story. Now, I know what many of you are thinking. Creating a political party in order to keep the flows of online piracy flowing is the biggest strategic Rube Goldberg machine there ever was. If the thing you want to accomplish is the free flow of information, creating a political party and getting bogged down with various complicated and time-consuming local political issues is a big waste of time. You'd be much better off just investing your time in developing encryptions, secure connections and new file-sharing protocols. In strictly technical terms, politics is not necessary to keep piracy going, and it is in principle always possible to throw more tech at it at every turn. 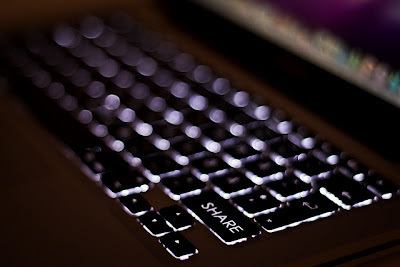 If you are beginning to suspect that there is something more to this than just file sharing, you are on the right track. Piracy is a very good place to start, though. It's no big secret that there are laws against it, and that they have a tendency to become more and more severe as time goes by. To simplify things, we could say that we on the one hand have corporate rightholders who lobby the system to the limits in order to impose ever stricter copyright laws. On the other hand, we have a generation of people who use the internet every day, and who by virtue of these stricter copyright laws become criminals per default. Not because they actively want to be criminals, but because their normal use of the internet includes such things that the stricter copyright laws prohibit. You can see how this becomes a political issue really quick. It is a bad thing for just about everyone if young people's everyday habits are criminalized, and it is moreover not a good thing to teach kids that they are criminals. Once you are a criminal, after all, doing other criminal things is not that big of a leap. Going from innocent to criminal is a Big Deal; going from criminal to slightly more criminal isn't. So while the technical aspects of piracy are by and large politically irrelevant, the implications of turning what is essentially a whole generation into de facto and de jure criminals - isn't. Especially not when combined with ever stricter laws regarding what can and cannot be done to criminals. One other aspect of this is that efforts to preserve irreplaceable cultural artifacts are hampered by the same criminalization. Archivists can choose to either illegally copy copyrighted material, or watch as the things they are meant to preserve withers away due to physical deterioration. In the choice between preserving and not preserving our cultural heritage, the fear of finding yourself on the wrong side of an expensive copyright lawsuit makes many choose the latter option. Over time, that's a lot of lost material that we won't ever be able to replace. You can see why there is a need for a political movement. In order to change legislation, one needs to be a part of the legislative process. Not only in order to affect existing or proposed laws, but also in order to shape the discourse in which public policy is made. Laws don't just happen out of thin air - there's a long and often complicated procedure taking place before they see the light of day. Being part of this process is vital to getting things done - especially when complicated issues are on the table. 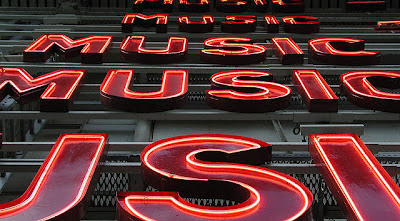 Make no mistake - copyright reform is just about as complicated as things get. There is of course more to the Pirate movement than just the issue of copyright. That just happens to be the one that (for natural reasons) gets the most attention. Less talked about (but therefore also the more important) issues are political transparency, personal integrity (i.e. rights such as habeas corpus and privacy), free/open software (especially in the public sector, where the "free" can save billions in license fees each year), and the digital divide (and ways to make it less of a big deal in everyday life). In short, a range of public policy changes that would encourage the individual to make use of analog or digital media technologies in order to inform themselves about what's going on, and discourage the state from using these same technologies to spy on individuals. The internet is not a stranger in our times, and it is time to patch politics with a new set of values, that stems from the reality we live in rather than the one our parents lived in. Politics based on you being an active user of communication, rather than a passive consumer of media. You are the political subject, not an object of politics. The future is already here. Let's make the best of it, shall we? Being an original writer is a hard thing. Not only because it takes way too much self-discipline to be done in a handwave, but also because of how literature works. You see, there are only so many ways of writing something. After a while, all of these ways are likely to have been explored and put into use. After even more of a while, these ways will be formally acknowledged by the formations of genres, with their own conventions and variations upon themes. And after the longest of whiles, these variations upon themes will have been turned into the stock examples of how to write we know from the world around us. In short, if it can be done it most likely has been done. Which puts the ambition of becoming an original writer into a new light - the very structure of literature works against you. And you not only have to compete with the words not doing what they are told, but also against every damn writer ever. And there's a lot of them, to be sure. Which is why I'm not all that fond of the myth of originality. Not only because it sets the bar for entry higher than it really needs to be, but also because it's not what the readers really want. As the case of the ever more formulaic pop songs or movies show, the attraction is not in the iconoclasm but in the adherence to those predefined conventions. I am even less fond of the notion of unoriginality. Over time, the probability that two authors independently of each other writing something very similar approaches one. Not because they lack originality, but because that's just how writing works. 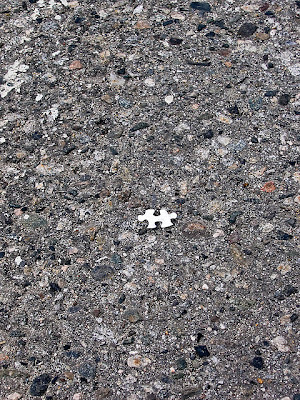 And there's always bound to be someone, somewhere, who some time ago wrote something similar to just about anything. If you search long enough, you will find it. This becomes somewhat of a problem when any given author is accused of being unoriginal. What does that mean, other than that the author writes in the same world that we live in? I'm hard pressed to see this as a bad thing in and of itself.